Fusta din poliamid verde apa. Se inchide lateral cu fermoar. Nu este captusita. Articol original. Masuri: talie - 75, sold - 97, lungime - 95. 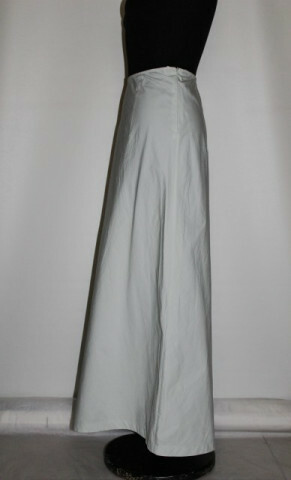 Echivalare: M.
Brand: Jil Sander / Italia. Despre: "(b.1943) Jil Sander worked in fashion as an editor, free-lance designer, and retailer for years before starting her own label in 1973. She became known for her minimalist designs that relied on precise line and proportion rather than embellishment. 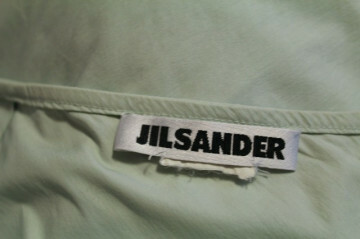 In 2000, Jil Sander sold controlling interest in her company to Prada, and four months later she left the company. 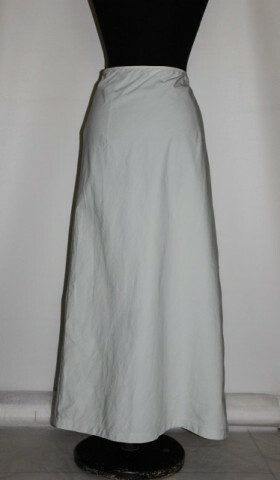 The line struggled financially, and in 2003, Sander returned to design her namesake line. However, she quit the company a second time in November 2004, reportedly due to problems with Prada management. She is now working as a consultant to Japanese retailer Uniqlo." 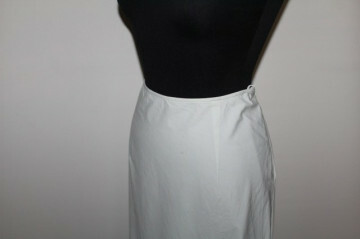 (Sursa: Vintage Fashion Guild).